Fornasetti: James Bond is in my Office. Sorry, went a bit overboard with my title there! But do you like my image? I have decided that – wherever possible, and time permitting – I will try and provide my own images from now on rather than stock images. I used the PR images until now for simple product shots, because they were clean and clear and looked very pretty on the homepage, but I have got a bit addicted to messing about with effects on photoshop. So. Intrigued? OK. Let’s start again, shall we? I have James Bond in my office. Or, at least, it smells as though I have James Bond in my office. It is, in fact, a very neat little box of incense sticks, which is something of an anticlimax, I suppose, but actually good news when you hear what I have to say next. THESE INCENSE STICKS SMELL AMAZING! AMAZING I TELL YOU! Right. That’s enough of that then. out for dinner. (Sorry, had to delete a few ‘passages’ there!) The incense sticks smell incredible in the box and I am loathe to take them out and burn them, but in the interest of thorough testing I have so far lit three. The scent is more ‘woody’ from the burning incense and the ‘James Bond’ note seems to disappear, which is a shame. I’m sorely, sorely tempted to take the whole box of sticks to a perfumer and ask them to make me a spray-on scent version, that would just be the absolute ultimate. Until then, I am just going to have to sit here with the box (which is very cool) and do some more daydreaming. 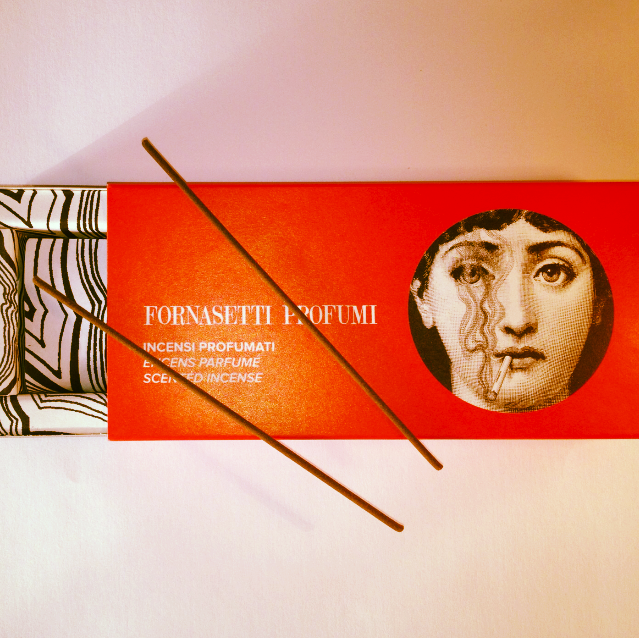 Decorative incense boxes with 80 sticks start at £145 – I have a feeling that you really need a box (or one of the scent spheres that Fornasetti produce) to get the maximum incense effect. I have a refill box, which is a much more pocket friendly (yet still firmly luxurious!) £45. Previous Post Surprise Polaroids on Google Images! Next Post A Safe Tan, Faster?